Austin, Texas, November 4, 2015 – Hanger Clinic announced that James Campbell Ph.D., CO, FAAOP has joined the company as Chief Clinical Officer (CCO), effective November 16, 2015. A primary focus for Dr. Campbell will be the development of Clinical Practice Guidelines for major medical conditions, as well as capturing the medical outcomes of Hanger Clinic’s patients, and translating it into value for payors. Dr. Campbell joins Hanger Clinic with a high level of distinction for his work, leadership, and research in the field of orthotics and prosthetics (O&P). He worked for the past 17 years at Becker Orthopedic in Troy, Mich., where he served most recently as the Executive Vice President responsible for Clinical Services, as well as Research and Product Development, Manufacturing Engineering, Quality, Regulatory Affairs and Central Fabrication. Dr. Campbell has served on the Board of Directors of the American Orthotic and Prosthetic Association (AOPA) since 2012 and will become AOPA’s president in 2016. He chairs AOPA’s survival imperative on Outcomes and Evidence Based Practice. He also is a past member of the Board of Directors for the American Academy of Orthotists & Prosthetists (AAOP) and served as Chair of its Educational Development Council. In addition, Dr. Campbell serves as a member of the Advisory Board for the Ph.D. Department of Applied Physiology at Georgia Tech University, on the Biomedical Engineering Industrial Advisory Board at Lawrence Technological University, and on the Advisory Board for the O&P Program at Eastern Michigan University. A named inventor on five U.S. patents, Dr. Campbell has authored several book chapters and journal articles, and served as the Editor in Chief for the Journal of Prosthetics and Orthotics from 2000-2003. He received the Thranhardt award in 2000, and in 2005 he was the Orthotic Education & Training Trust (OETT) Invited Lecturer at the UK National Member Society of International Society for Prosthetics & Orthotics (ISPO). In February 2013, he received the Distinguished Practitioner Award from AAOP in recognition of his significant contribution to the field of orthotics and prosthetics. 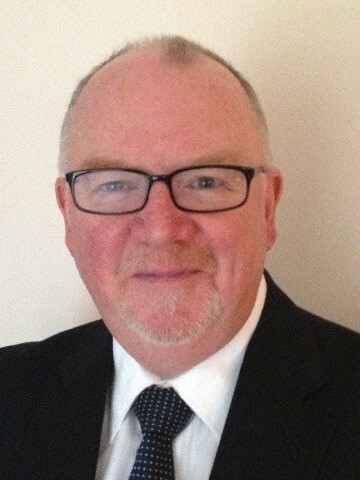 He has presented over 150 papers at professional conferences around the world, has participated as an Invited Constituent for the National Institute on Disability and Rehabilitation Research (NIDRR), and has been actively involved in NIDRR’s Formative Program Review on Rehabilitation Engineering Research Centers in the U.S.
By education, Dr. Campbell has a Higher Diploma in Prosthetics and Orthotics from the National Centre for Prosthetics and Orthotics at the University of Strathclyde in Glasgow, Scotland, and later completed his Ph.D. in Bioengineering at the University of Strathclyde. He has the designation of Certified Orthotist from the American Board for Certification in Orthotics and Prosthetics, and is a Fellow of the American Academy of Orthotists and Prosthetists as well as a member of the International Society for Prosthetics & Orthotics. About Hanger Clinic: Founded in 1861 by the first amputee of the Civil War, Hanger Clinic, a business unit of Austin, Texas-based Hanger, Inc., owns and operates 750+ patient care clinics nationwide. The certified clinicians of Hanger provide patients with the latest in orthotic and prosthetic solutions, including microprocessor devices for those with limb loss and neuromuscular technologies for those with paralysis due to stroke, MS and other debilitating conditions. For more information on Hanger, visit www.Hanger.com, and for more information on Hanger Clinic, visit www.HangerClinic.com.